After 2.5 Years, I Still Love The C5D! Pros - Dark, silent background. Transparent and easy to listen to. Slightly warm mids and upper bass. Bass boost feature. Sturdy build. Free laser engraving. Plenty of power. Cons - Sparse labels. Challenging to remember bass boost and charge switch settings. 6-8 hour battery life. C5D is a high-performance portable headphone amplifier featuring digital volume control, multi-position bass boost, dual gain, and asynchronous digital-to-analog conversion compatible with iPad, iPhone, and all UAC1 compatible operating systems. 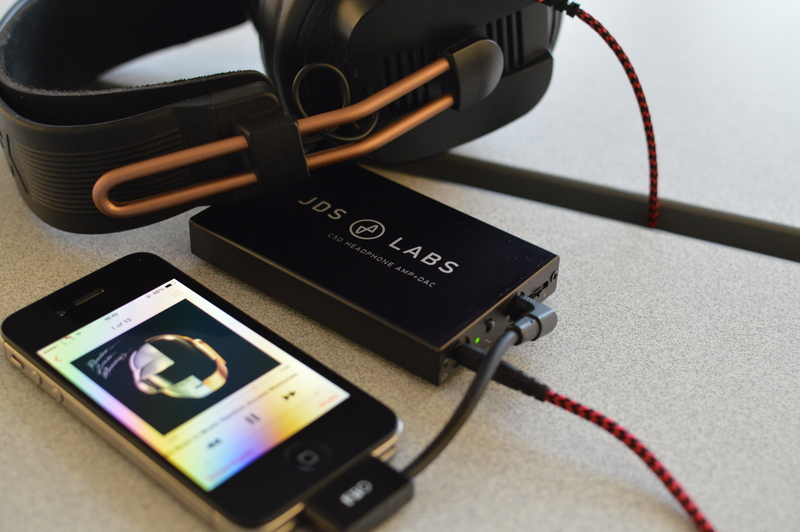 All JDS Labs products are designed, prototyped, manufactured and supported in their own USA facility. This is relatively unique in the portable electronics world and speaks directly to the philosophy of the company. I can personally attest that JDS Lab's customer service is outstanding as well. You can expect to receive same day responses to email inquiries, handled personally and professionally. They clearly care about their customers just as much as they care about their products. 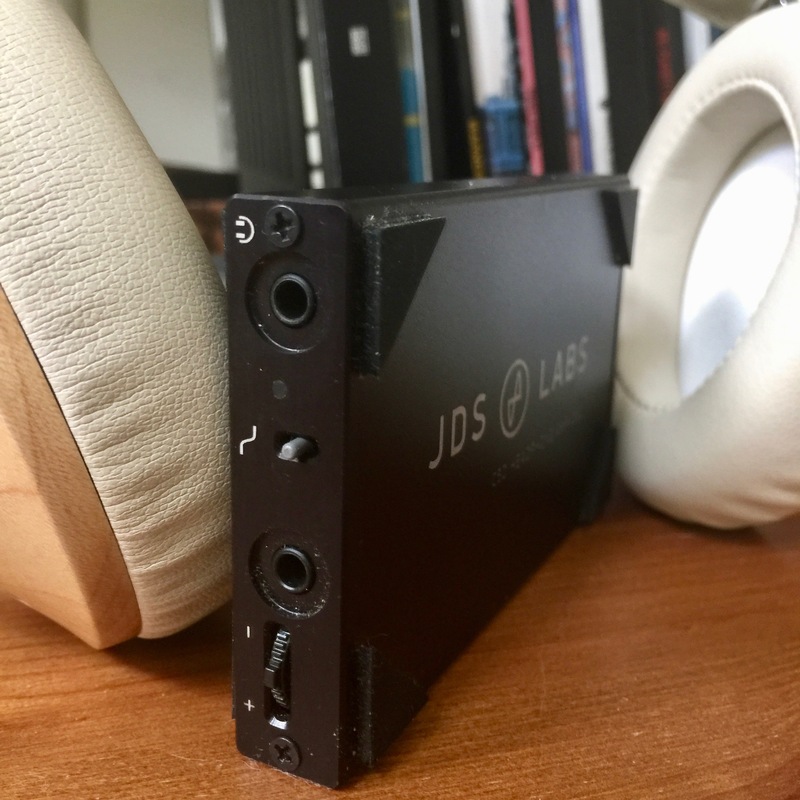 Build quality is always a strength of JDS Labs products, and the care in product design and execution is evident in the C5D. The exterior casing is a minimal and sturdy design of machined aluminum, with a satin matte anodized finish. End plates are aluminum with precisely cut ports and flush, tight and high-quality components and solid feeling switches. 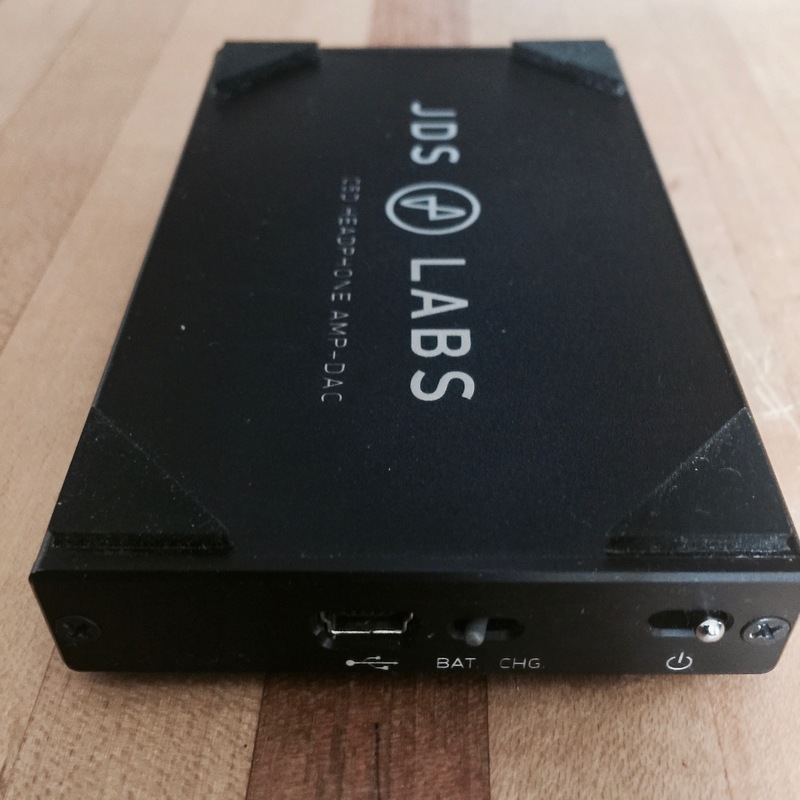 Custom engraving is free with any new JDS Labs amplifier or DAC ordered through jdslabs.com. You can submit your own custom artwork to appear in white on the blank case side (the other side has the JDS logo). Engraving image quality is comparable to that of a black and white laser printer. It is worth discussing the unique digital volume control. For the tech savvy, the workings of the digital volume control can be programmed via Arduino via software made available by JDS. By default, it works by pushing a left or right to decrease or increase the volume by fine steps (63 1-dB attenuation steps + mute). If you hold the volume rocker to the side it increases to full in a few seconds. Additionally the last used volume level is retained every time you switch the amp off. You push the volume rocker in to toggle the gain from 2.3x to 6.5x. JDS Labs states (in full caps) that the C5D is ASYNCHRONOUS AND GALVANICALLY ISOLATED. I have not noticed any unwanted RF interference (radio frequency interference collected by a cable unintentionally acting as an antenna) nor any other noise issue, so I’ll take their capitalized word for it. 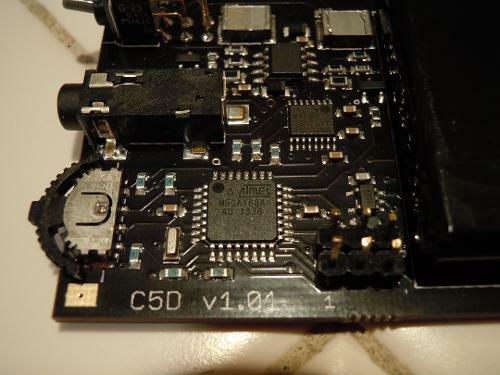 The C5D is a USB Audio Class 1 (UAC1) compatible device, so it is not necessary to install drivers for computer usage, but it does mean that the DAC chip is purposely limited in audio format playback support (maximum 24/96 - no 24/192, 32/384, nor DSD support). However, it means that the C5D is more widely compatible, and having an internal battery (thereby avoiding “connected accessory couldn’t be used because it consumed too much power” error messages) it is usable with iOS devices with the Apple Camera Connection Kit and Android devices using the USB On-The-Go (OTG) feature. Note that the current package lacks any Android OTG or iOS digital cable, so you should include those costs, as well as a few amp bands, into the purchase price for portable usage. Labels are somewhat sparse on the unit and there are a few things that take time to become familiar. You must remember to change the battery/charge switch to the appropriate setting. Forgetting to select CHG means it will not recharge the battery even when plugged in. The unlabeled (!) bass-boost switch isn’t entirely intuitive either, rather than OFF – MED – HIGH, the switch works (from bottom to top, which in itself isn’t always easy to remember) MED – HIGH – OFF; the only way I know what setting it's on, is to flip through them and listen. 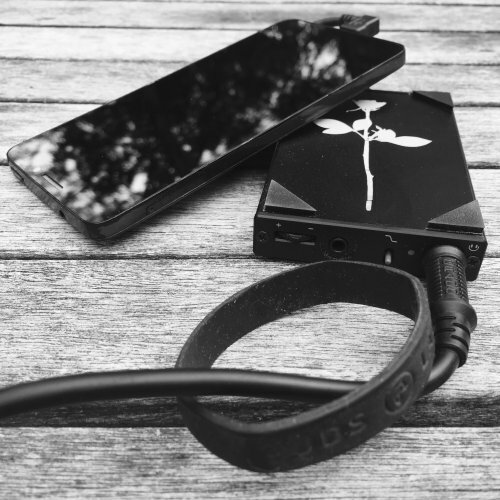 The 1,200 mAh battery capacity is rated for 6-8 hours of playback (depending on volume level) and is certainly not industry leading for portable devices. JDS Labs is probably best known for its production of the successful Objective Amplifier (O2) and DAC (ODAC). For many, this was (and continues to be) a gateway into high-end headphone audio and provides clean, accurate sound at a reasonable price/performance ratio. The C5D appears to be an attempt at capturing this success in a more portable package. Known for a dark, silent background, the C5D makes it easy to enjoy the music you are listening to. Balanced with a focus on accurate and transparent sound, it appears true to the music but is never boring nor sterile. The presentation is slightly warm, with somewhat forward mids and a bit of a punchy upper bass bump. Bass is controlled (except with the MAX bass boost setting enabled – this may prove too much for many headphones and details can easily be lost in the overwhelming mid-bass bloom). Overall, the bass boost gives a bit of additional body to the music (I typically leave it on the MID setting) and I find it slightly less musical and engaging on the OFF position with most headphones. Vocals are presented naturally with extension and detail. Overall the C5D has a smooth presentation, very pleasing and musical, and isn’t sterile nor grainy. While it isn’t perhaps the most detailed nor revealing, the full impactful sound signature remains fatigue-free even over long listening sessions. As a whole, the soundstage is engaging, remaining intimate but reasonably spacious. While the low gain setting works fantastically with IEMs and reasonably efficient full-sized headphones, the higher gain setting does have enough power to drive less efficient headphones such as the HD650. 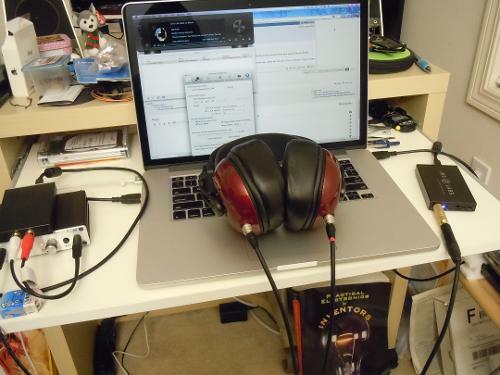 The sound with these higher impedance headphones is clear but a bit lacking in dynamics – but then again I’m used to the legendary pairing with a Bottlehead Crack OTL desktop amplifier, so I likely have unfair expectations. One of the best purchases I made early in this crazy obsessive hobby was the JDS Labs C5D. It still sounds great and meets all my portable needs, even after many headphone changes and auditioning and owning arguably “better” gear. I didn't realize at the time of purchase that they offered free laser engraving, so over a year after purchase, I exchanged a few emails, and sent it back to them. At the same time, I had the headphone amplifier input changed to be a DAC line out, so I could use it that way as well (as I typically only use Android USB OTG). 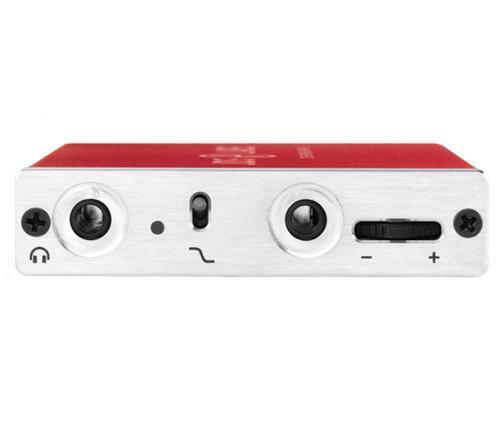 Of note, I’ve been slightly disappointed in the sound quality of the DAC only output connected between a Windows 10 tablet and desktop headphone amplifier, and prefer using an Audioquest Dragonfly Black for that single purpose. I’ve owned it almost 2.5 years, so you can consider this an extended test and review. It’s played countless hours of music for me and still works just as well as when it was brand new. Plain and simple, I love this thing! Dexter22, volly, madams5000 and 4 others like this. The C5D ships with a 1.5 foot USB mini-B cable, a set of four rubber stick-on feet and an instruction manual. A Spartan lineup, to be sure, but it gets the job done. Identical to the C5 in shape and size, though with a couple of added features, including a switch around back to allow the C5D to charge from a connected USB source or run strictly from battery power and a two-stage bass boost switch on the front with two boost options, instead of the single boost option in the original version of the C5. Though I thought the switch that allows one to disable the charging circuit of the C5D and run on battery power alone was a rather frivolous feature at first, I quickly learned that it’s a hugely beneficial when using the DAC with my iPhone. 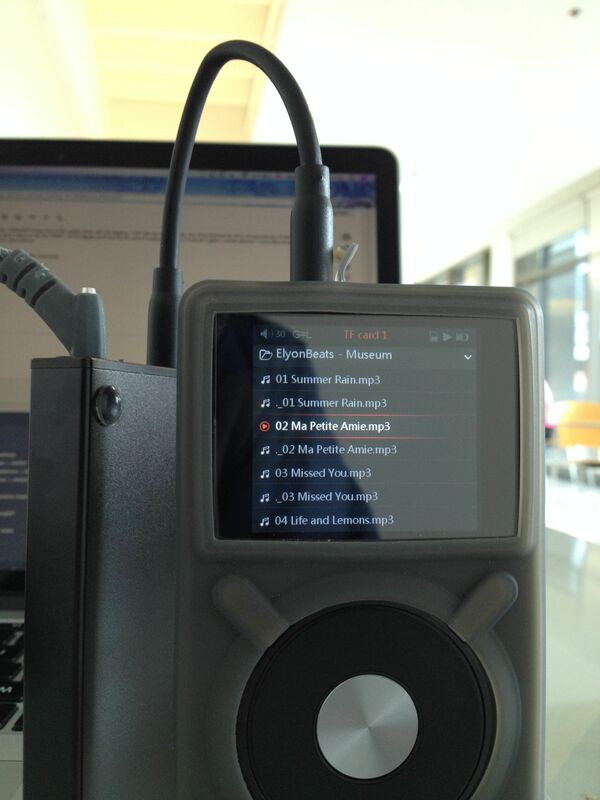 I connected another USB DAC/portable amplifier I have, the MUSE PD1+, to my iPhone and it advised me that the connected accessory couldn’t be used because it consumed too much power, despite having its own battery. So a point for JDS Labs for realizing the necessity of such a feature. Clad in an aluminum casing, the C5D feels sturdy and reliable, like it could easily handle being thrown into a bag or pocket every day and endure like a champ. Of course, I handled my demo unit with care but its solid feel instills confidence in long-term durability. Unfortunately, my demo unit shipped with a weak battery so I wasn’t able to evaluate its performance accurately. If you’ve read my review of the JDS Labs C5, just apply everything I said there to the C5D, as its amp section is audibly identical to my ears, namely, excellent. The C5D, like the C5, is designed for sensitive headphones and IEMs, so its power output isn’t very high compared to other portable amplifiers like the Fiio E12 but despite that, it is still able to drive high impedance and low efficiency loads like my Sennheiser HD 600 and HiFiMan HE-400 to nice and loud levels without sounding strained, like some other portable amplifiers will with headphones like these. The all-in-one design of the C5D makes it very portable and usable around the office. I’ve been using it almost exclusively with my iPhone 5S, loaded with a mix of high-resolution lossy AAC and MP3s and performance has been stellar. It is a bit disappointing that the C5D doesn’t have line-out functionality built in, just in case you wanted to use it as a dedicated DAC for a more powerful amplifier (like the O2, for example) but I didn’t find myself wanting for more than the C5D was capable of delivering. 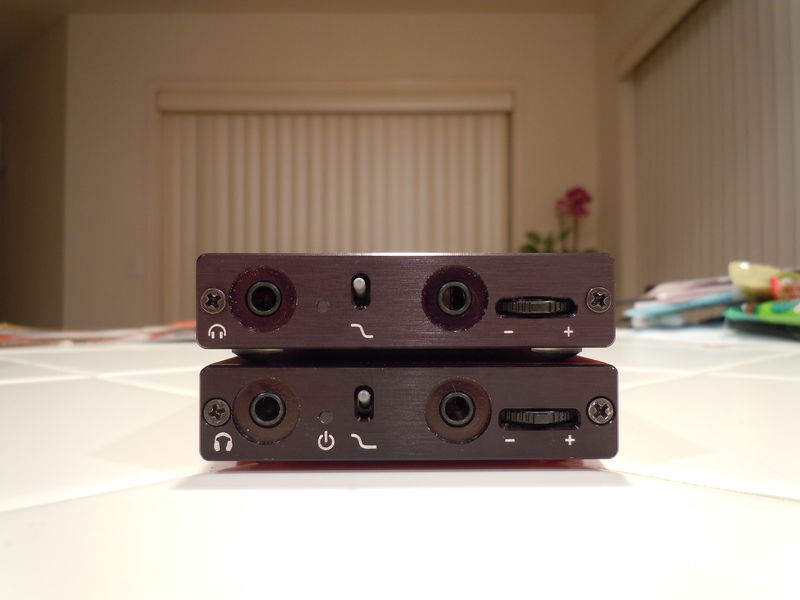 Of course, this may change if I ever get my hands on a set of power-hungry planars or 600 ohm Beyerdynamics. JDS Labs offers a conversion service to change the line-in jack to a dedicated line-out from the DAC but the downside of this is that you lose the ability to connect analog sources. Another minor flaw is the audible “pop” that comes from the amplifier when it’s switched on. Not a big deal but it’s worth noting. 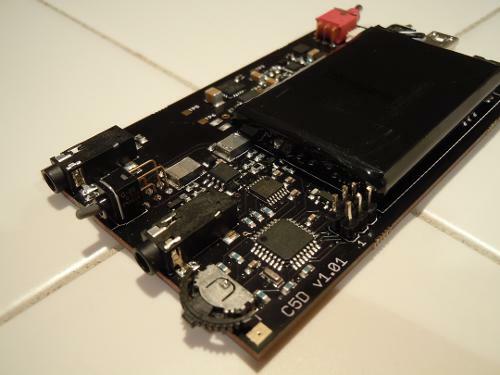 The C5D supports 24 bit/96KHz decoding over USB and performs excellently in that capacity. 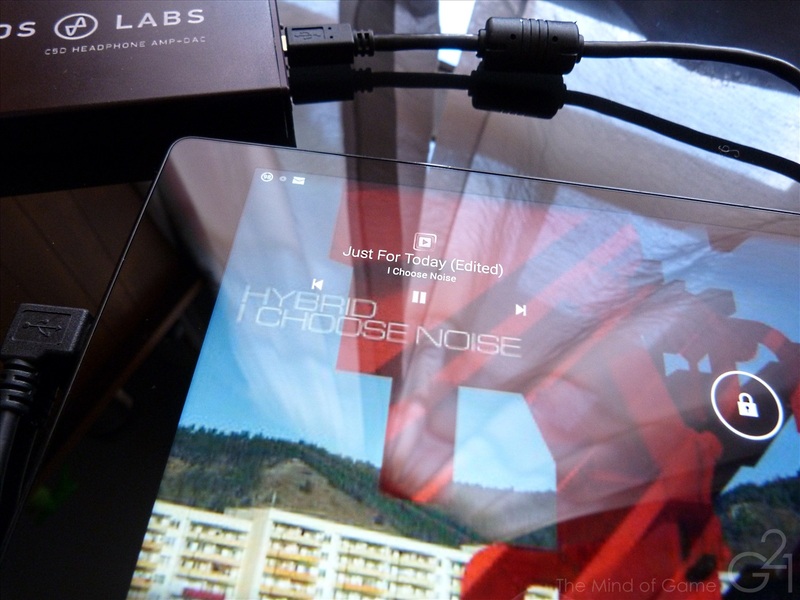 Listening to a few 24 bit high-res test tracks I loaded onto my Nexus 7, the C5D sounded lovely with my Sennheiser HD 600s, so much so that I had to tear myself away from my listening in order to go to bed that night. That being said, whether or not there is any tangible benefit to carrying around 24/96 high-res files is up for you to decide as the audible differences between two lossless 16 and 24 bit files are negligible at best. But I digress. The important thing here is that the C5D is more than capable of decoding high-res files and amplifying them at a level that will make your headphones sing. Compared head to head with my O2 + ODAC, the C5D was practically identical, subjectively speaking, which is very high praise in my book. 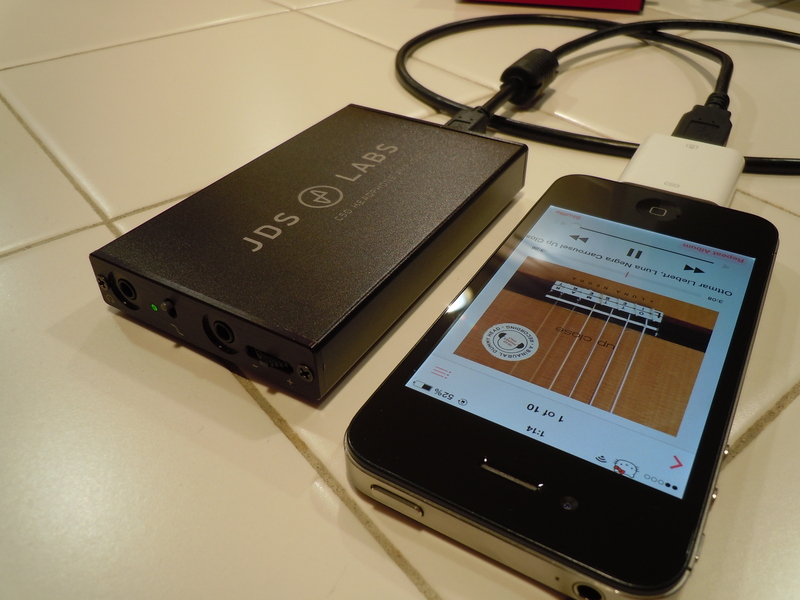 As both a portable amplifier and DAC, the JDS Labs C5D is superb. Though its published battery life is relatively short compared to some other portable amplifiers, the C5D’s feature set and overall performance more than make up for it. I wish its DAC had a dedicated line out for use with more powerful amplifiers but that’s taking the C5D out of its element to a certain degree. It’s meant to be used in a portable setting and in that capacity, it excels, though I would hardly say someone was crazy for using it as an all-in one desktop amplifier and DAC option. The C5D has the audio quality to perform well in that respect but I’d still recommend the slightly more expensive O2 + ODAC for desktop use. 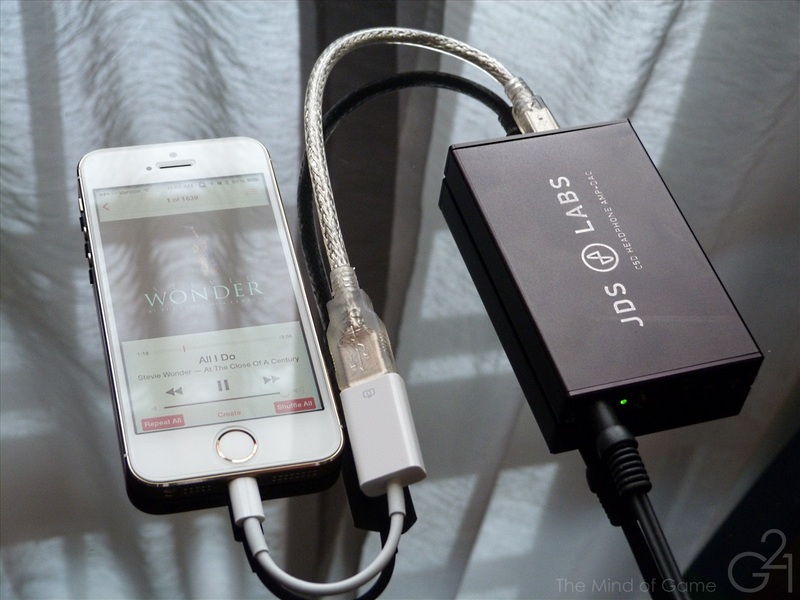 At $250, JDS Labs’ C5D certainly an investment and one that only audiophiles can easily justify but if you’re looking for stellar audio performance from any and everything that supports an external USB DAC or a simple line-out, the C5D is likely one of the best portable amplifiers in the business and definitely the best I’ve ever heard. What is its battery's play or run duration, and its charging time? A Fantastic Portable DAC/Amp Combo! This was provided to me from JDS Labs as a free review unit, so I need to give a big, big, big thank you to JDS Labs for their generosity! You might be able to see in the photos that my unit has some blemishes in the aluminum case. These will not appear in normal units. Anyway, onwards to the review! At $250 USD, the C5D offers good sound quality while still having a lot of applications of use. But first, what's in the package? This is quite a good selection of features for a mobile user! For what you get with the C5D's package, and the different ways you can use it, the C5D is a nifty device for anyone who travels or moves around a lot. Moving on to the sound quality, I would say the C5D as a whole has a fairly transparent sound signature, with just the slightest bit of warmth. The C5D shares the same amplifier design as that of the C5 model (amp only), so the C5D's sound is very similar to the C5. When A/B-ing the C5 next to the C5D, they sound nearly identical, which is to be expected, but I hear a slightly deeper bass extension with the C5D (bass boost off in both cases). This is a very minimal difference relatively speaking, but it's nice to hear bass guitars having a slightly more realistic sound with the AKG K 701 when using the C5D. So in short, the C5D's amp section sounds fairly transparent, carrying a similar sonic signature to the Objective 2 amp. In comparison to the O2, the O2, like the C5, has a larger sense of a soundstage, the instrument separation is better, and the midrange is a bit laid-back in presentation (the C5D's amp brings the midrange a bit forward, so it's more engaging to the listener). On the other hand, carrying the O2 around is often an inconvenience and the C5D is a nice alternative for those who need a portable amplifier that sounds transparent. Some people suggested that JDS Labs make a 3-way bass boost switch since the original C5 bass boost switch added too much bass. 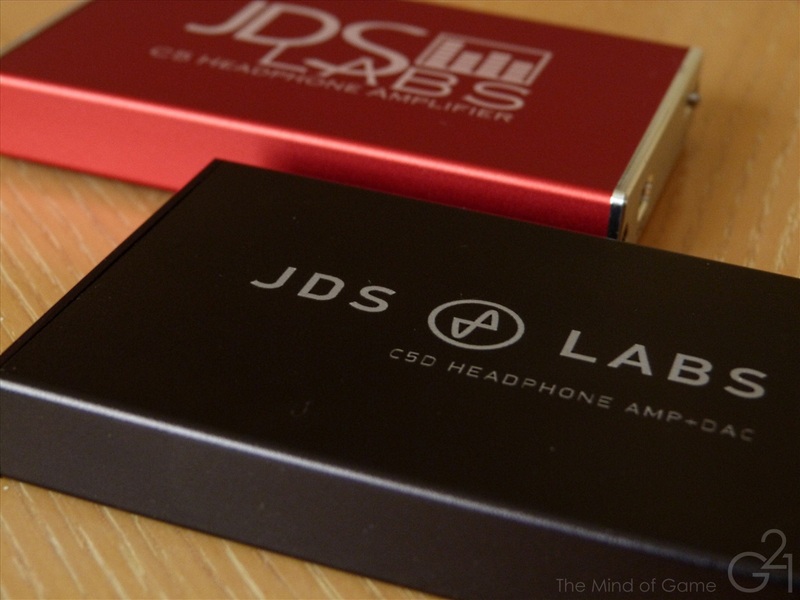 JDS Labs decided to take those suggestions and incorporate them into the C5D, and newer C5 units as of December 2013. When the 3-way bass boost switch is in the middle, the bass boost is fully enabled, giving a very large sub-bass bass boost. This works great in some cases such as mobile listening when there is a lot of background noise, or if you want to have the rumbly-like feeling when listening to a movie in a theater. If you use high gain with the full bass boost, the bass boost is actually more than on low gain, giving you 4 levels of a bass boost in essence. On the other hand, the full bass boost is sometimes too much for some music genres, so having the bass boost switched to the top position for half the bass boost amount can come in handy. 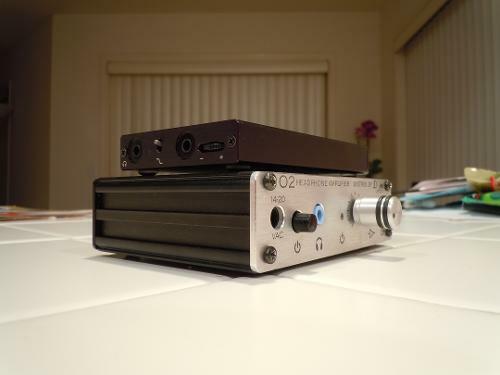 The only dedicated DAC I have at hand is the Objective DAC, so most of my impressions are based on comparisons between the two. With that, the C5D's DAC section adds a bit of warmth and thus thickness to the music. The overall presentation is also a bit more intimate, so the soundstage like the amp section is a bit on the small side, but it's also more engaging while listening to music and the sense of soundstage depth is more apparent compared to the ODAC's more wide soundstage. The ODAC in comparison sounds a bit more spacious and open, while also being laid-back; the music is just there. Both are good in their own ways, but I actually prefer the C5D's sound since the ODAC almost sounds metallic next to it (using the C5D as the amp in both cases). Some people have wondered how the O2/ODAC combo sounds next to the C5D. 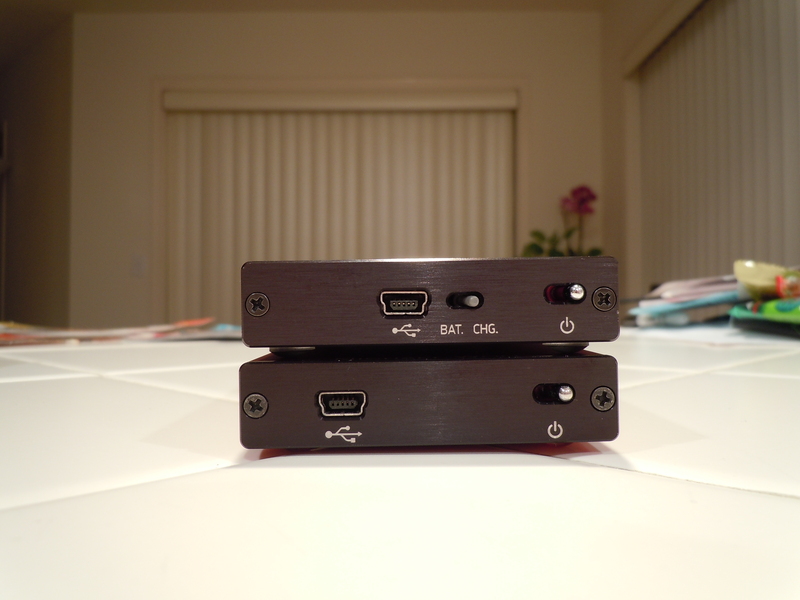 Carrying the C5's sound for the amp section, and an engaging and warm DAC, they have different sounds overall. To be honest, I like the C5D over the O2/ODAC combo for its musical sound and naturalness, but the O2/ODAC sounds more technical having better microdetails, soundstage size, and instrument separation. I guess I have just now discovered the definition of how a system can sound "musical." In terms of what I've used the C5D with, I liked the Alpha Dog, Mad Dog, AKG K 701, and even the HE-4 with them. Obviously the HE-4 won't sound at its best with the C5D, but I was pleasantly surprised at how well the combo sounded. With a fairly natural and transparent sound, an engaging midrange, and a bass boost option for different listening environments and/or music genres, the C5D a great companion for mobile users. It may be a bit fatiguing to some though due to the more forward midrange, which may sound a bit bright (similar to the C5). 4.5/5 (Excellent) for Audio Quality. I'm not sure what this arbitrary category is for, honestly. I'll explain it in the Design section below, but the overall feel and appearance of the C5D is excellent; this thing is well-designed and well-built. As from the Audio Quality section above too, the audio quality is excellent. 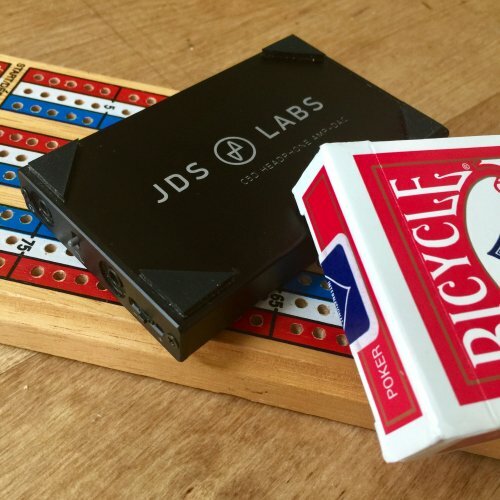 To top it off, JDS Lab's customer service has always been of the highest quality as well. I can send them an e-mail inquiry at 10 PM and I'll receive a reply back from them before midnight. They offer explanations and walk through problems with you, so communication is very quick, personal, and professional. 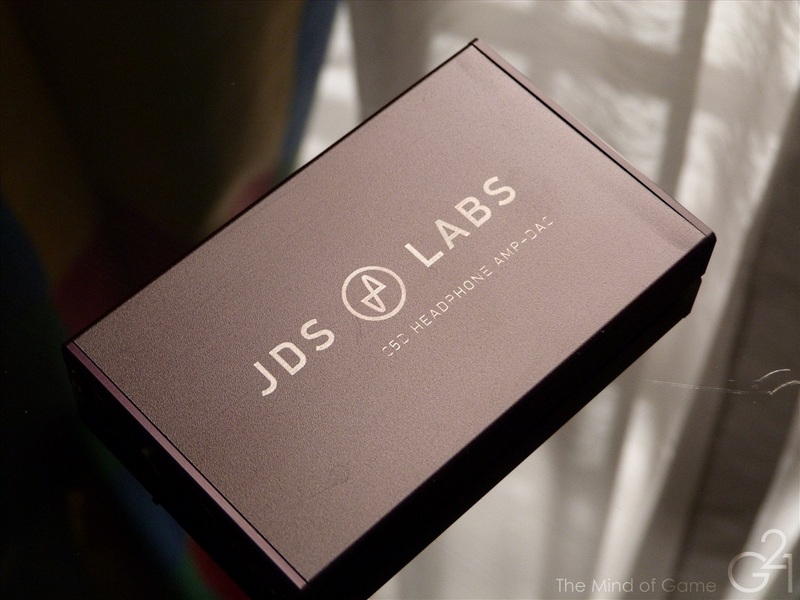 JDS Labs' first batch of C5D units had a sound imperfection that caused a humming sound to be heard in some circumstances. Although they caught the error after shipping the units, they were very communicative with their customers, acknowledged the problem publicly, and offered to replace the units. This is just one slice of JDS Labs' manufacturing process and they employ a bunch of quality control inspections when making their products. 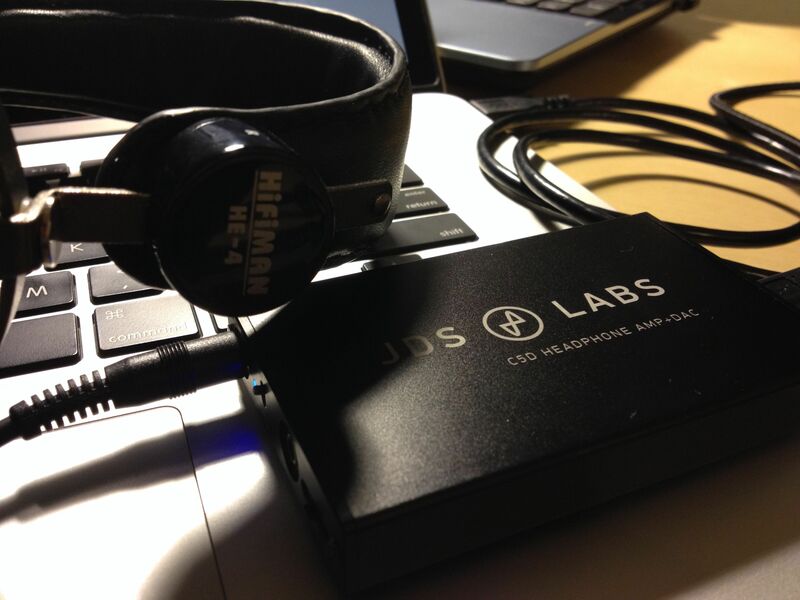 When you receive a unit from JDS Labs, you know you're receiving a high-quality product. The C5D represents perfection in terms of quality before and after reaching the end-user. The C5D's design is pretty basic on the outside. The front panel has the input and output jacks, the battery life LED indicator, the bass boost switch, and the digital potentiometer. The back panel contains the power and battery mode switches, and the miniUSB port. The endplates are held on by two screws, so they are removable. 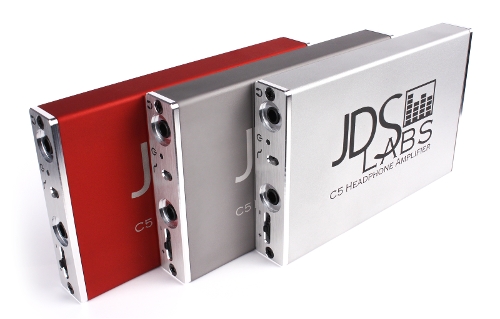 JDS Labs also offers silver endplates, so you can change the colour scheme of the C5D a bit. 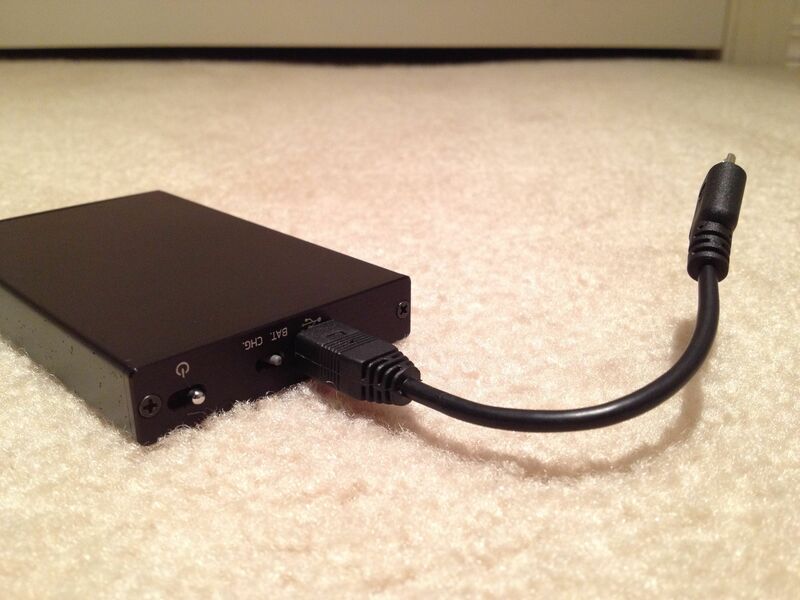 The whole enclosure is made of aluminum, so it's quite sturdy and solid-feeling. Additionally, JDS Labs offers a laser etching service for free with the C5D, so you can put your own custom artwork or text on the top or bottom of the enclosure. This is certainly a unique opportunity to have your unit customised since I don't know of any other company that offers this service with their devices! In terms of physical size, the C5D is about the same length and width as an iPod Classic or iPhone 4S, so it's a pretty small footprint overall. I also made the volume setting reset back to low-gain, volume level 1/63 every time the C5D is powered on so that I don't blast my ears with the previously-remembered settings. 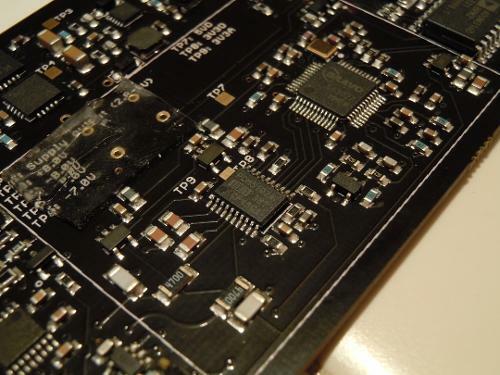 Another part of the design for the C5D is making it USB Audio Class 1 (UAC1) compatible, which basically means no external drivers are necessary to get it running. This is both a pro and a con. 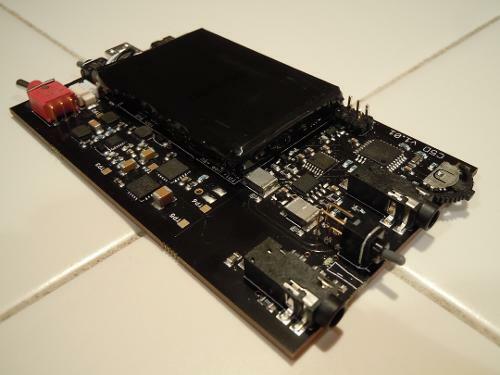 This is a con in the sense that the DAC chip is purposely limited in function (no 24/192, 32/384, nor DSD playback), but this is a pro as well because it allows the C5D to be compatible with more devices without needing to install drivers. 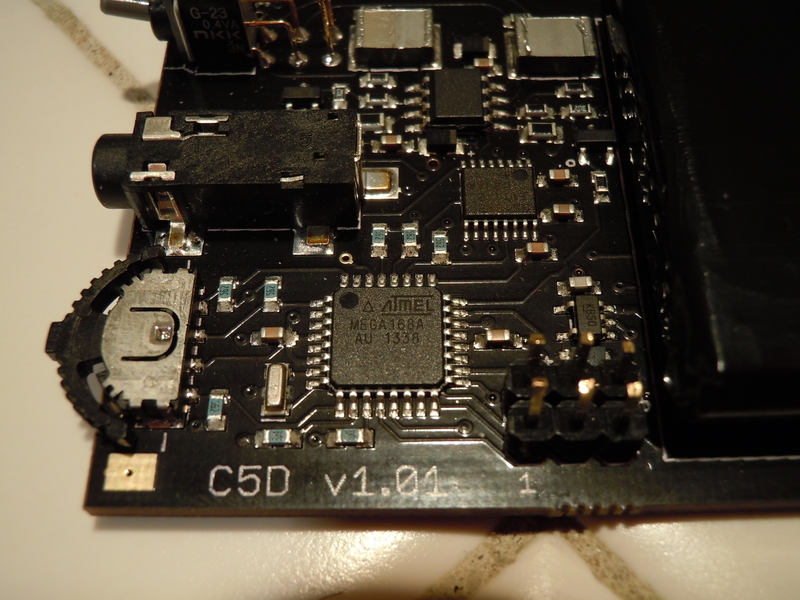 Additionally, the C5D is self-powered, so this makes the DAC portion usable to iOS 7 devices with the Apple Camera Connection Kit and Android devices using the USB On-The-Go feature. Objectively, the C5D has great jitter, THD+N, dynamic range, and crosstalk performance measurements (available here: http://blog.jdslabs.com/?p=722). The one major complaint I have about the design of the C5D is its battery life. When only using the amp section of the C5D, I get around 8 hours of battery life. This isn't a lot, but it's not too little either, so it's only an "okay" battery life. On the other hand, when using the C5D as an external DAC/amp with my iPhone 4S, I get around 6 hours of battery life. This isn't a lot either, but it is more on the short side. 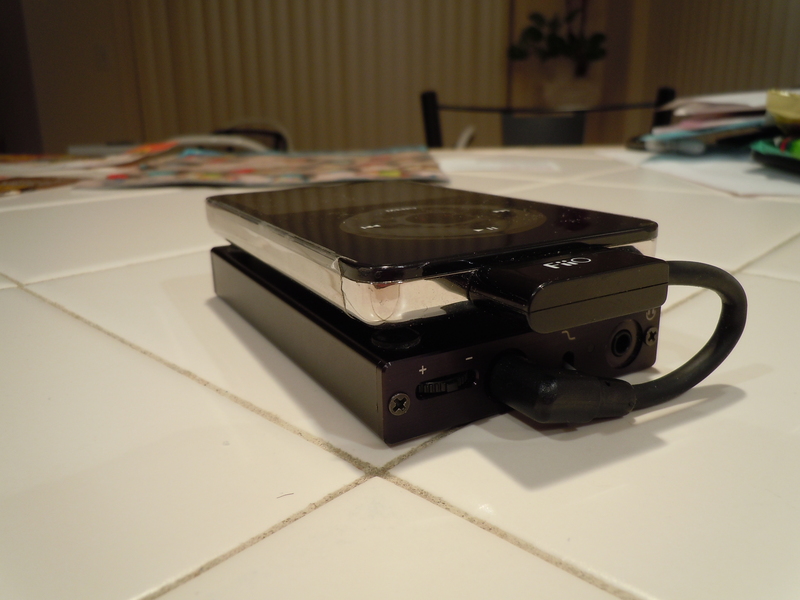 I would have liked to have a longer battery life since this is my primary mobile soundcard/amp. Additionally, the C5D does tend to get a bit warm when in your pocket, so I'm curious as to whether or not the circuit can be designed to be more energy efficient in the future, which may also increase the battery life. I only recently programmed the C5D to have the DAC circuit "off," so I haven't had the chance to test the battery life with that "disabled." I say "off" and "disabled" because power is actually still flowing through the DAC circuit I believe, but not enough for the DAC to be detected by devices (in the Arduino code, it's LOW or HIGH). 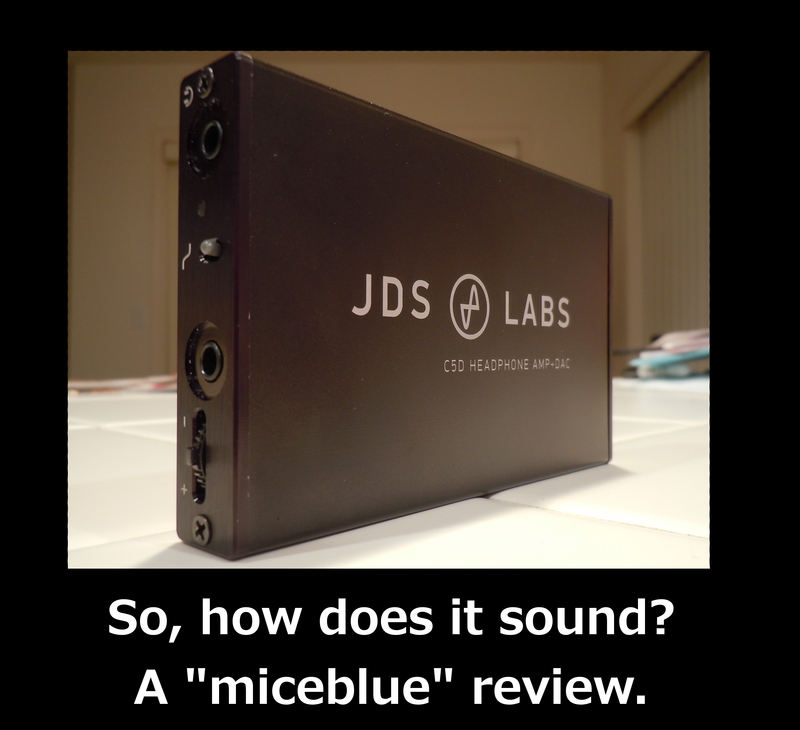 I sent an e-mail to John Seaber of JDS Labs though and he said the battery life is increased compared to the stock C5D (which has the DAC always on HIGH), but not as long as the standalone C5 battery life (around 10-11 hours). Another small complaint I have for the C5D is its mode of operation with the battery mode switch. The C5D can operate in "battery" or "charge" mode. When connecting the C5D to a computer via USB, it would make sense to have the battery charge at the same time (thus using "charge" mode). On the other hand, when connecting the C5D to a mobile device/phone via USB, it would make sense to have the battery be used instead of draining the mobile device's battery to charge the C5D's battery (thus using the "battery" mode). When using the C5D as an amplifier with a line-out connection on the other hand, the mode of operation doesn't matter. It's just a bit confusing sometimes to toggle the mode when switching from a mobile device DAC/amp to a computer external soundcard (switching from "battery" mode to "charge" mode, unless you plan to drain the C5D's battery when using it this way). One last final complaint I have is the bass-boost switch (both on the newer C5 models and the C5D). No bass-boost is the top-most position of the switch, maximum bass-boost is in the middle position, and medium bass-boost is at the bottom position. It takes some getting used to, but it's not intuitive at first. On a positive note, I have not encountered any RFI noise at all while using the C5D. If you plan to strap this to your phone, you probably won't hear any of the annoying "buh buh, buh buh, buh buh, bburrr-urrr-urr" sounds, and if you do, it'll be minimal. The C5D's design is great overall, but the relatively short battery life is something that can be improved. For its size, the C5D packs a lot in such a small package. If you're looking for a nice portable amp/DAC combo, I think the C5D is an excellent value at $250. It has a fairly transparent and musical sound, and it holds its own ground next to my reference ODAC/O2 combo. Being self-powered, the C5D can be used with Android and iOS devices alike, and that's something someone may value. I want to give another BIG thank you to JDS Labs again for sending me this free review unit. Also, I want to thank you, the reader, for taking the time to read through this review. If you have any questions or concerns, please feel free to leave a comment below. proid, LoveKnight, heavyarms and 4 others like this.